This book is truly captivating and sparked my interest to read more about the renowned poet Jalal Al-Din AlRoumi . 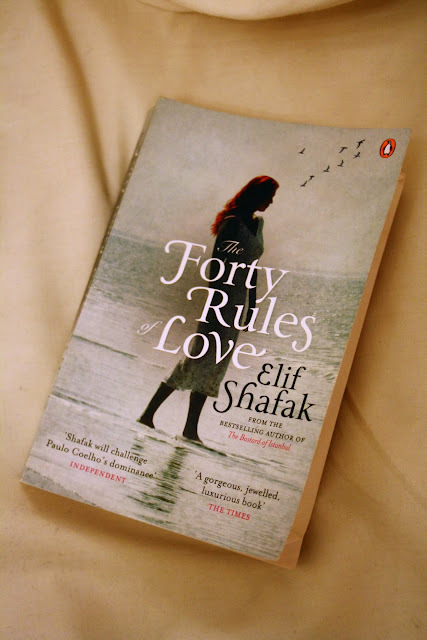 The story starts with Ella, a mother and house wife who edits a manuscripts that tells the story of Rumi and his companion Shams of Tabriz her steady and semi boring life takes an un-expected turn as she starts to yearn for love that she never lived after 20 years of marriage. That's simply a jumpstart of an affair with the manuscript writer Aziz, a free spirited photographer with a broken heart . Whom after frequent mail exchanges she find herself unable to stop thinking about him . The story plot unravels to sad but beyond satisfactory end ..